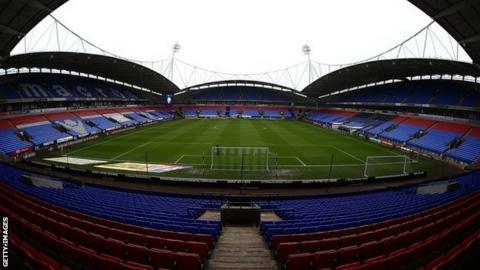 Bolton Wanderers say they have come to an "amicable agreement" over a recent players' strike. They were meant to play a friendly at St Mirren on 7 July but it was cancelled when the strike was called over unpaid wages and bonuses. Chairman Ken Anderson said all but one player had been paid, but he would not be "blackmailed" over bonuses. "The club and players will continue to work, on and off the pitch, to ensure a common drive," a club statement said. "Both parties have reached an amicable agreement to resolve this situation. The players regret the disruption their actions have caused the club and its travelling supporters, and are continuing with their preparations for the new season. "The club on its part is also looking to review its lines of communication to help avoid this happening again." Bolton begin the new Championship season on 4 August, having finished just two points and one place above the relegation places in 2017-18.